The Maia Nebula is illuminated by and surrounds the star Maia (20 Tauri), the fourth brightest star in Messier 45. 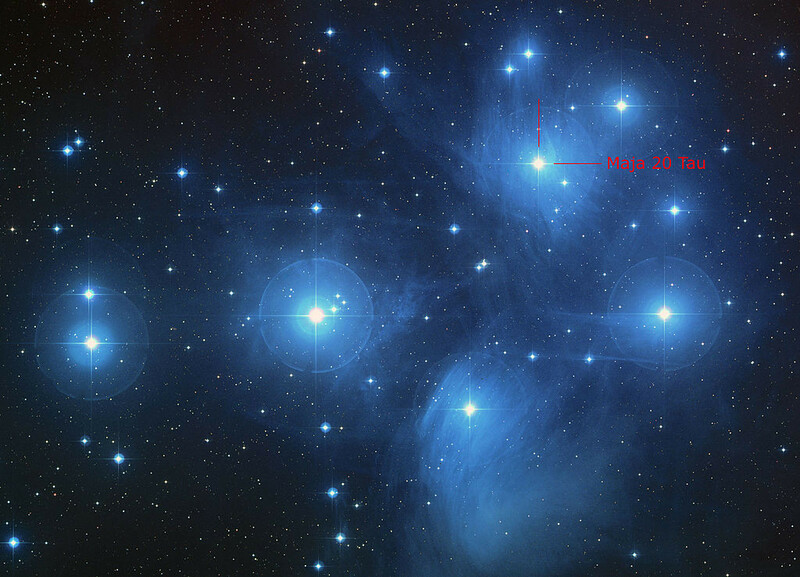 Maia is a blue-white giant with the spectral classification B8 III. It has an apparent magnitude of 3.871 and lies at an approximate distance of 400 light years (120 parsecs) from Earth. 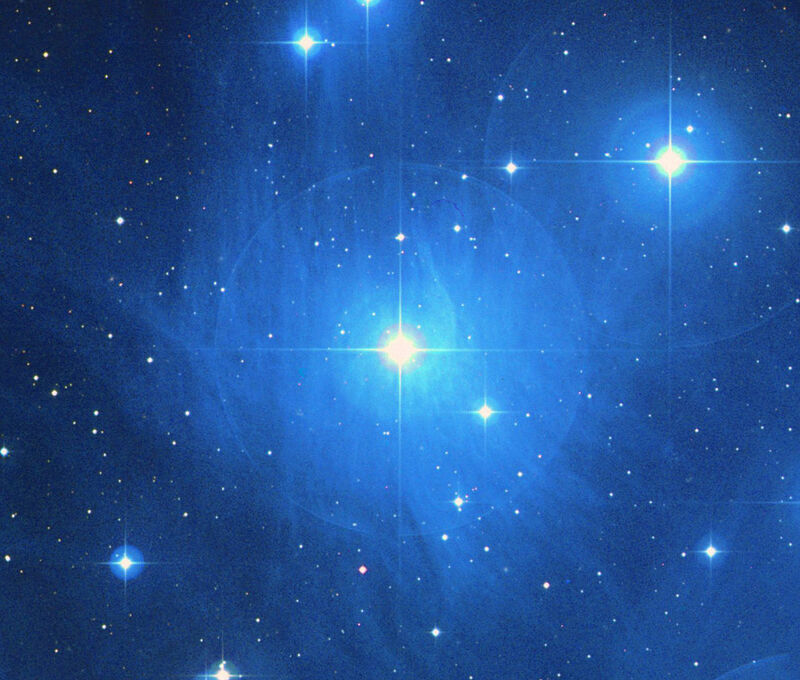 The star has more than five times the Sun’s mass and is 850 times more luminous. It is the only brighter member of M45 with a low rotational velocity. Maia’s estimated surface temperature is 12,600 K.
The Maia Nebula was discovered by the French astronomer and optician Paul-Pierre Henry on a photographic plate taken on November 16, 1885. 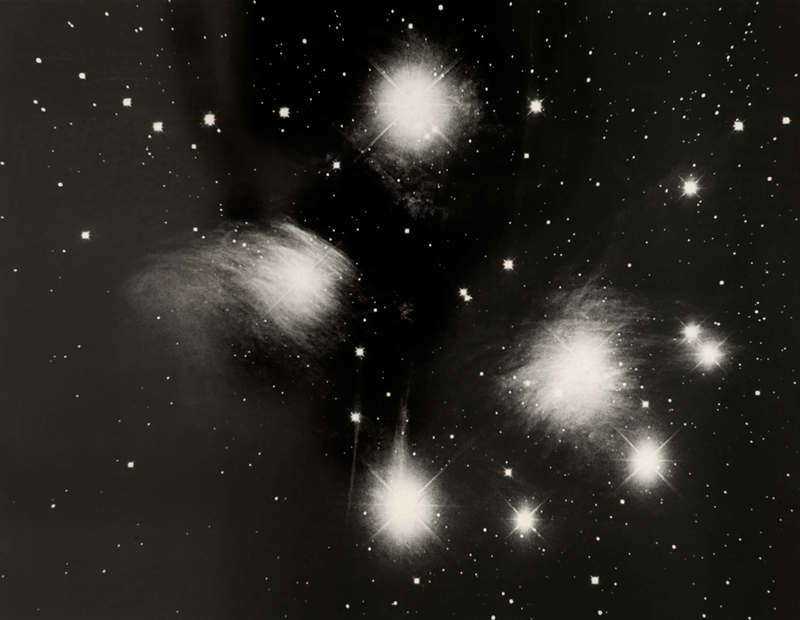 A photograph from Yerkes Observatory depicts nebulae in the Pleiades, August 1919. Photograph courtesy Yerkes Observatory.